Information was discovered by mod duckroll over on neoGAF. 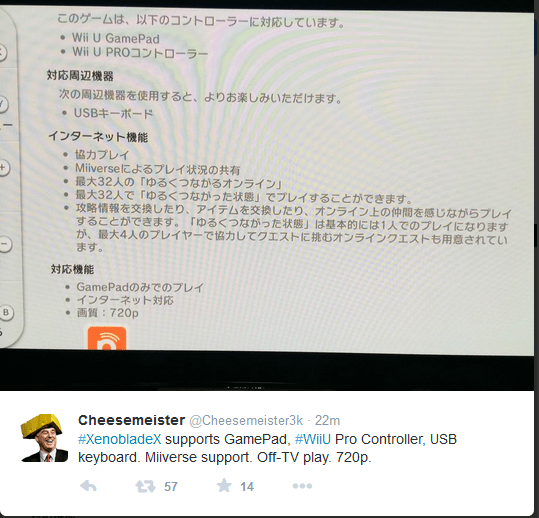 The second bit of information comes from Cheesemeister on twitter, who is a well known translator in the video game community. 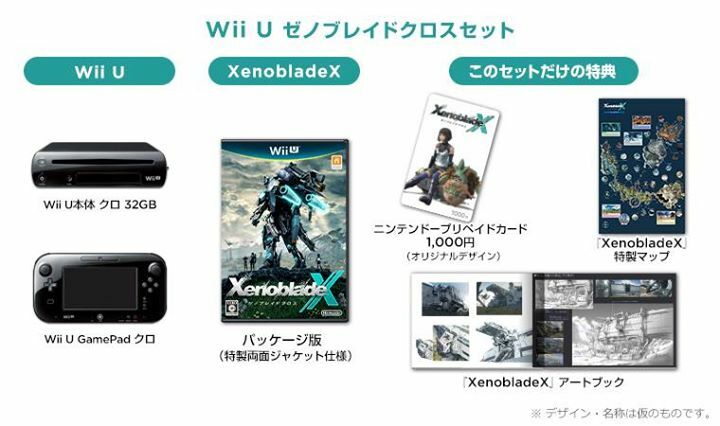 It says that Xenoblade Chronicles X supports the GamePad, Pro Controller, and USB keyboard. There is also Miiverse support and Off-TV play. The game is 720p. Ryan is an owner and manager of the oprainfall website, mostly managing changes needed for the website and maintenance. He also writes articles from time-to-time. His gaming interests include mostly RPGs; both Western and Japanese. Ryan has a graduate degree in psychology.